Made from recyclable ABS plastic, the Exotac polySTRIKER XL fills the minimalist niche for fire-lighting kit without sacrificing on design or usability. The polySTRIKER XL features an innovative tungsten carbide easy-to-use striking tool that snaps into the handle when not in use. 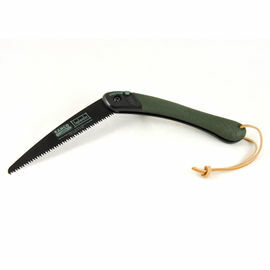 The striking handle and tool are connected by a lanyard to ensure both parts are present and accounted for at all times. Simply push the tool out from the cut-out in the back of the handle and you're ready to go. Exotac polySTRIKER XL is rated 5/5 based on 9 customer reviews. Great spark generator that is worth its weight in gold when needed, haven't used it enough to find out how long it will last but my first impressions are good. Very hot sparks, low weight and packs away nicely. Would recommend tying your own cordage to desired length so it can be worn/used but this is personal preference. The striker is fantastic and can be used to easily shave off pieces with the side and create hot sparks that last for a few seconds. Totally recommended, accept no imitations. Gives a nice spark and the design makes it nice to hold, great little firestarter. This is an invaluable tool when on a trip, whether in Greenland on Namibia. Provided you can get dry grass or kindling the Exotac is a very easy and reliable tool for getting a fire started - either for that braai, the stove, or for burning the loo paper first thing in the morning - and it's not affected by the wet as the burning shavings it produces are relatively large and keep burning longer than for other firesticks. It is so good I stupidly keep giving mine away to amazed DofE participants. My Exotac lighter arrived in good time from Woodlore. 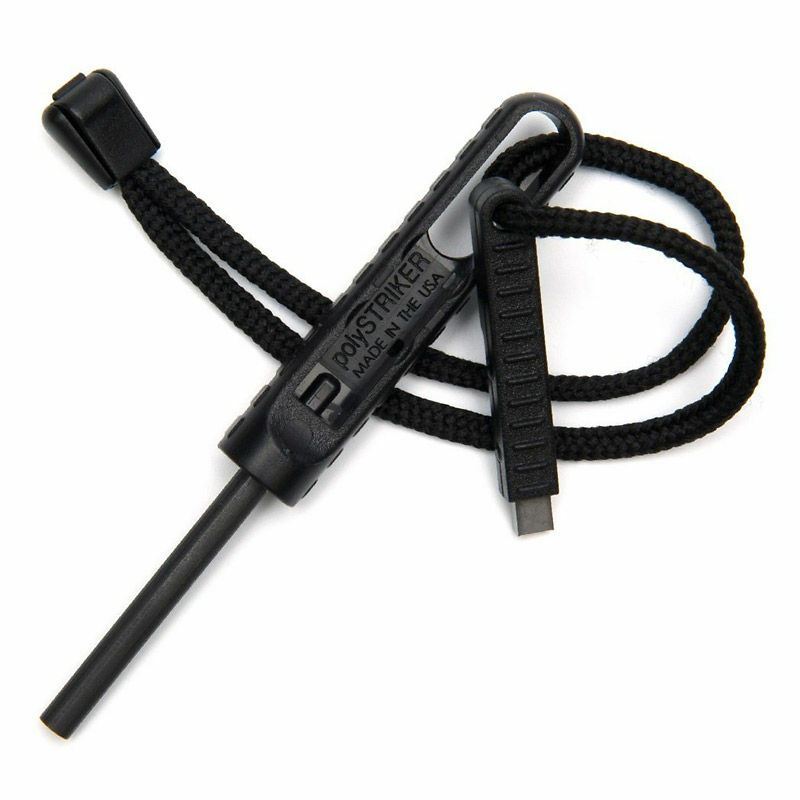 Sturdy construction, striking steel tucks nicely into the handle of the magnesium rod, all held together by a nice thick cord that makes sure you do not separate the parts. Couldn't wait to try it out - and when I did my friends and I were amazed at the prodigious shower of sparks that came off it! It's no match for a lighter, nor does it claim to be - you have to have some very flammable tinder to light for it to work - I was a bit naughty and used a few pieces of thin plastic bag. 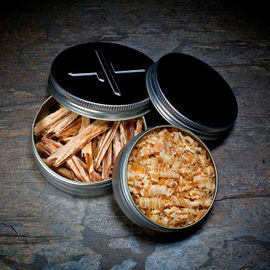 All in all a great tool, showers of hot sparks every time and would personally recommend as a backup to a lighter/matches etc. when you're outdoors. Fits nicely in the hand due to the big size, strikes really big showers. And it is really easy to use with the striker that comes along with it! Excellent tool, nice large size that fits well in my hand, best one I've used so far. Just got this Firesteel in the mail this morning (Woodlore great delivery as always) and have been playing around with it. I'm very, very impressed by the showers (and I mean SHOWERS) of sparks that fly of this thing. The built in striker does a great job of scraping of very, very hot sparks and it also stores away into the handle. I’m very pleased with it and it will always be with me now (as well as my RM Firesteel) for whenever I need it! PS. Fantastic service & help from Woodlore as well (Thanks Steven & Jason)!